Apologies that things have been a little quiet on here of late, but this is because Tom and I (well mainly Tom) have been working hard on our new designs. We are off to France soon for the Medoc Marathon and we have managed to book a meeting with the planners in Confolens on 5th September to show them our ideas before we submit our formal planning application. The idea behind this is that they will make their comments there and then and if there are changes then we can make them before we submit in the hope they will grant planning permission with no delays or changes….nous souhaitons! The new design is similar to the old with the idea of a living space at one end and sleeping at the other, but it now has more of a barn style feel. It also takes away the flat roof in the living end of the house and now incorporates a double height space – something Tom has always been keen on. We have also included a covered outdoor area which has easy access from the living end of the house. Tom has also found a building company close by that specialises in ‘green architecture’ and can also make pre-fabricated straw bale walls! This is something that we are both interested in so I think we will be paying a visit to their factory as well. We have also asked my brother-in-law, Al, a talented young Landscape Architect to draw up some plans for our garden. He has come back with some initial ideas which we are very excited by. These designs will appear here and on our design pages soon. Categories: French Planners, Planners, Planning | Tags: Design, French planners, French planning, Straw Bale | Permalink. Our designs are moving on a bit and we will be adding them to the Design page soon. In the meantime Tom has contacted the planners to arrange another meeting. So far the fabled ‘French bureaucratic system’ has not caused us any problems. It has all be quick and efficient. Maybe it is just that, a fable, then again we have all seen Grand Designs…..On which note we watched a bit of a classic Grand Designs abroad the other night all about a couple who were planning to build a timber framed house in The Lot. Our design we will very different from this, but it is still interesting to see. Anyway, we will be updating these pages shortly with more news on the planners and our designs. 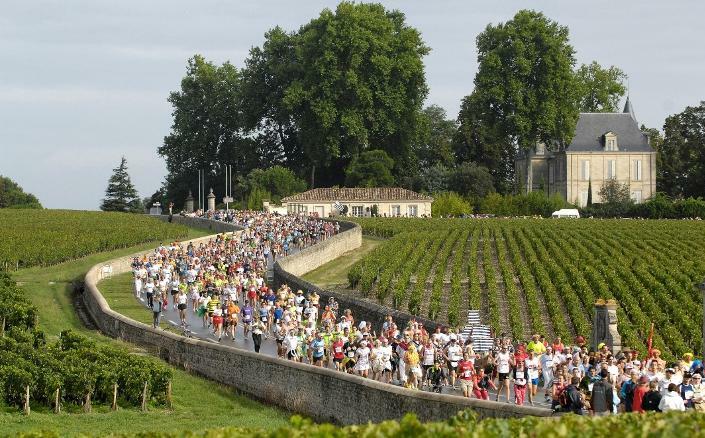 A marathon through the Bordeaux vineyards? On another note, we have booked our next trip to France for September. We will be combining this with the marathon du Medoc. A crazy marathon through the vineyards of Bordeaux, where a bit of dégustation on the way round! And you ask why people love France….! Categories: French Planners, French Planning | Tags: Design, French food and wine, French planners, French planning, passivhaus, running | Permalink.